Don’t miss Canada’s largest showcase of outdoor gear and adventure travel experiences this weekend, February 20, 21 & 22, 2015. 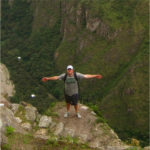 When Knowmad Adventures’ Jordan Harvey is not giving one of his talks about South America travel he will be at booth 319, be sure to stop by and say hola. It’s a great opportunity to ask questions and learn more about Ecuador, Peru, Chile, Argentina and/or Antarctica. See below for more presentation information. Please pass the word along to your friends and stop by yourself if you are in the area. 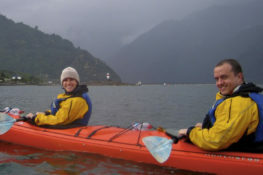 Follow the link for more information on the Outdoor Adventure & Travel Show – Toronto. This remote region at the end of the Andes is home to Torres del Paine National Park, remote Chiloé Island and its seafaring indigenous peoples, the Perito Moreno glacier, and more. It is as vast and sparsely populated as it is dramatic. 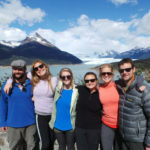 Jordan’s presentation will offer jaw-dropping images of the region’s incredible natural beauty, as well as offer practical advice on traveling to Patagonia, through this vast area of wilderness and cultural intrigue. Ecuador is home to nearly every ecosystem imaginable. 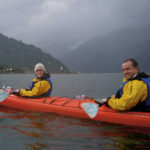 Visits to Ecuador can include cloud forest, Andean Highlands, historic haciendas, indigenous communities, volcanoes, Amazon Jungle, colonial cities and of course, the famed Galapagos Islands. 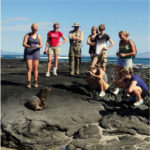 This presentation will show astounding photos of the Galapagos and mainland Ecuador, as well as share practical advice on everything from picking the perfect Galapagos cruise for you to where to go in mainland Ecuador and how to plan the perfect itinerary. Home to ancient civilizations, vast archaeological marvels, vibrant indigenous cultures, and natural wonders spanning from the unspoiled Amazon rainforest to towering Andean peaks, Peru inspires awe at every turn. 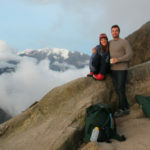 This presentation will feature inspired images from Peru’s various regions while offering practical itinerary planning and travel advice for Peru including hiking the Inca Trail to Machu Picchu, less physical and more luxurious trips to Machu Picchu, Amazon Jungle travel and lodges, and Lake Titicaca.